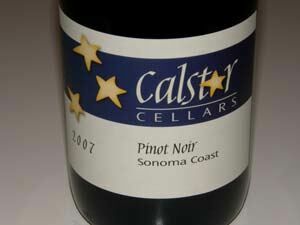 Calstar Cellars is winemaker's Richard Davis' own label started in 2001. Davis has been a winemaker for over 20 years and has done stints at Flowers Vineyard & Winery, Tandem Winery and two central coast wineries. He is currently the winemaker for Londer Vineyards, Halleck Vineyards and La Czar Vineyards. He has released a Sonoma Coast Pinot Noir from both Sangiacomo and Halberg Vineyards and a vineyard-designated Pinot Noir from Londer Estate. In 2009, he added River's Edge Vineyard in the Anderson Valley to his Pinot Noir lineup.